Argentina's airlines on Tuesday suspended all flights indefinitely due to safety concerns in regards to the volcanic ash stemming from the Chilean Puyehue volcano. 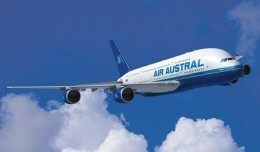 Air Austral received its first Boeing 737-800 on Monday, the first of two the airline ordered to replace a 737-300 and a 737-500. 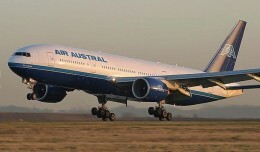 French airline Air Austral on Wednesday announced it has ordered two Boeing 777-200LR Worldliners in a deal valued at $501 million.